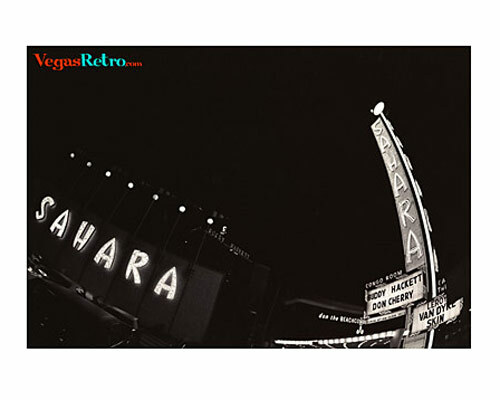 Buddy Hackett, a favorite performer at the old Sahara Hotel is on the marquis in front of the casino that has always been considered the beginning of the Las Vegas strip. This photo was taken in 1969, long before the additional high rise and Nascar Cafe. The Sahara Hotel is also one of the few hotels on the strip that has a local following. It's lounges were a nice evenings worth of entertainment watching comics like Hackett & Don Rickles and up and coming talent. Over the years it has had a reputation for fine restaurants at a reasonable price.